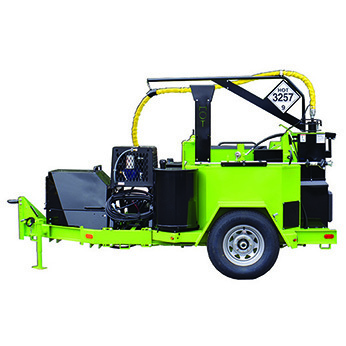 The Magma M2 crack sealant melter machine comes standard with lower emissions, lower fuel consumption, and quieter operation for a better work environment. The unit is designed for operator comfort with a completely redesigned delivery system. The no-stress boom swivels around the heated sealing hose, minimizing hose stress and providing industry-leading operating range.